Jussi Syren & the Groundbreakers are now a five-piece band. Fiddler Nelli Ikola has joined the group. 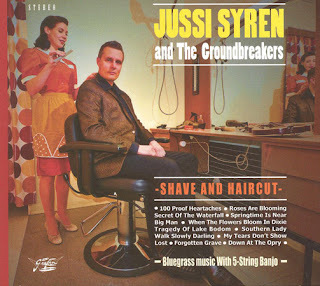 Their latest album, Shave and haircut, had a wonderful review in Bluegrass Unlimited, and the next album will be out in October.